Emergency Cash Loans At Jacaranda Finance | $300 - 10,000, Apply Now! What are emergency cash loans? An unexpected situation or expense is the last thing that any of us want. Whether it’s white goods deciding not to play ball with you, emergency car repairs or even unexpected travel, we know just how expensive these emergencies can be! Have you found yourself suddenly needing an emergency bond loan for bad credit? None of us anticipates or plans for spilling a glass of red on our snowy white carpet or junior getting his hands on (and into) your make up. While some people might think it’s humorous that the resulting mess resembles a scene from The Shining or a B rate horror movie, it really can be a money nightmare! This is where Jacaranda Finance comes into play. If you find yourself strapped for cash when you need it most, we may be able to help you out with one of our fast cash for emergencies. We offer many types of emergency loans. Some include medical loans, funeral loans and an unexpected bills loan. Yes, we process loan 24/7 and 365 days a Year. We understand that emergency can happen any time and you may need to have your cash fast. Or you simply have no time during the day to apply for the loan. Apply today for an instant cash loan from Jacaranda. What are Emergency Cash Loans with No Hassle? They are loans for people who have an emergency need for cash and want no hassle with their application. In a nutshell, they are loans for people who often have bad credit. To get a no hassle loan or an emergency loan from Jacaranda, apply today. What are Emergency Cash Loans for Centrelink? They are loans for people who have an income from Centrelink and need emergency cash. In short, they are loans for people on Centrelink who need an emergency cash loan. To get an emergency loan when your income is from Centrelink, apply at Jacaranda today. What are Emergency Loans with No Credit Check? They are no credit check loans for people who need emergency cash. Most people would like “no credit check loans” because they are afraid they would not otherwise qualify. If you have income, you may qualify for a loan, even if you have bad credit. What are Emergency Cash Loans 24/7? You can apply for an emergency cash loan 24 hours a day, 7 days a week at Jacaranda Finance. We endeavor to get a response to you as quickly as possible. If you are in need of quick cash and are looking for an online website where you can apply for one, give Jacaranda a try. Click the apply button above to get started! If you’re after a little more information on emergency fast loans, check out the Moneysmart website! 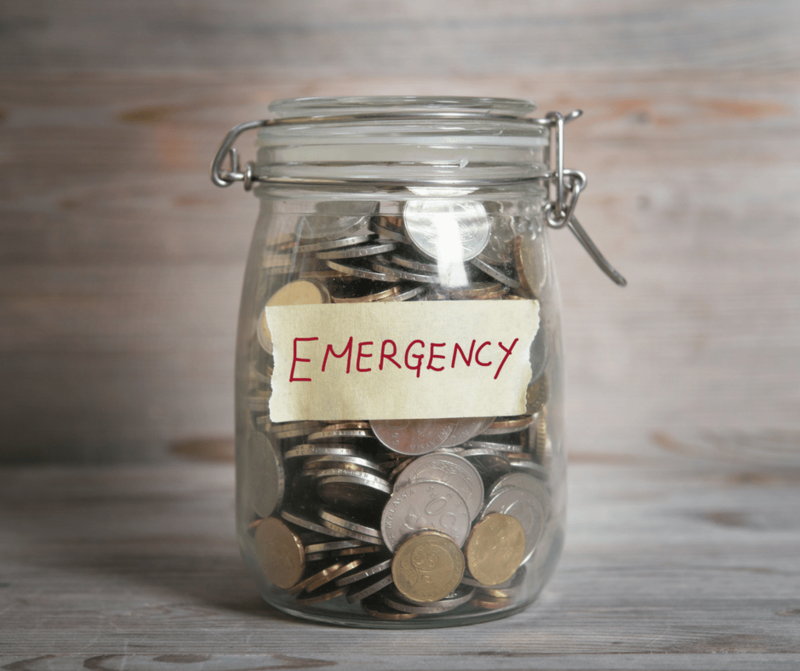 What are your eligibility criteria for emergency loans? An Australian citizen or permanent resident? Receiving a regular income into a personal bank account (we accept Centrelink benefits as well)? Able to access an active Australian mobile number and email address? If you meet these criteria, then yes you are eligible to apply for an emergency cash loan 24 7! Simply scroll to the top of this page to get the ball rolling on your emergency bond loan for bad credit application. How do I apply for one of your emergency cash loans? We’ve made our application process as quick and easy as possible for you. We’re all busy and have a million and one things to do, and an overly complicated emergency loans 24 7 application shouldn’t be one of them! Our application process is 100% online and should take you a few minutes. Just pop up to the top of this page and let us know how much you want to borrow and for how long to get the application process rolling. Once we have received your successfully completed application, one of our talented assessment team members will take a look at it as soon as they can. Generally, we try to get you an outcome within 60 minutes but sometimes it may take a bit longer. Don’t panic if the 60-minute window has come and gone as we may require some extra information or documentation from you and we’ll be in touch. If we receive your application outside of business hours then we’ll do our best to assess it first thing the next business morning for you. If you have any questions about anything, feel free to give our customer service team a call and they’ll be able to advise you on the progress of your application and answer any questions you may have. Perhaps you wanted to see if you ‘re eligible to apply for an emergency bond loan for bad credit? Or maybe you’re in a pinch and just looking for emergency loans unemployed no more hassle? No worries! Just give us a call and we can discuss it with you. Do you do credit checks on your emergency cash loans? As responsible lenders, we will always conduct a credit check. However, don’t let this deter you from applying for our emergency loans as we do look at other criteria as well. We are firm believers that your credit history isn’t the be all and end all for deciding whether we lend to you or not. After all, history is just that, history! We also have a thorough set of lending criteria that we consult for every cash loans application we receive. Whilst, we don’t offer emergency cash loans no credit check, we look at more than just your credit score, we look at your current relationship with money as well. We’re human as well and understand that sometimes things happen that can have an impact on your credit history. So, we look at your current relationship with money by taking a look at your bank statements. Don’t worry, we can only access a read-only copy of your expenses. If you see a company advertising emergency cash loans no credit check, we suggest being wary. Credit checks are a part of responsible lending and companies that advertise that they don’t do credit checks may be less than reputable. The following table represents keywords that people might search for to find our lending services. Keep in mind that we cannot guarantee that there will not be a credit check, that the loan will be “instant” (there will be some processing time), or that our loans are guaranteed. How much will it cost to borrow emergency loans? Jacaranda Finance offers 3 different types of loans. The costs and fees will vary between the two. Here’s a quick breakdown of the fees that you can expect to pay for each. That’s it! We don’t charge any other fees like some other lenders do. An interest rate of 48% per annum. Keep in mind that the more you pay off of your loan, the less interest you will be charged. Finally, if one of your direct debit repayments dishonours or fails, we will also charge you a dishonour fee of $35. Just remember, that if you’re interested in applying for one of our larger fast cash loans of $2,001 – $10,000, you will need to provide a vehicle that you own that we can use as security as they are secured loans. Can I apply for an emergency cash loan if I receive Centrelink? Yes certainly! If you’re receiving a regular Centrelink benefit into a personal bank account, you are eligible to apply for one of our emergency loans unemployed no more hassle loans. We don’t believe that you should be penalised for receiving Centrelink income, like some other mainstream lenders. Need some emergency cash fast? Great! Just scroll to the top of this page, pop in some details for us and get your application started! How do repayments work for emergency cash loans? Repaying your emergency cash loans no credit check couldn’t be easier! We set up your repayments to be directly debited in line with your income payday. There is no need to worry about remembering to make your repayments as they will all be automatic for you! Once your loan has been successfully repaid in full, your repayments will stop. How easy is that? What if I can’t make one of my repayments? Sometimes things happen that can affect your ability to make your repayments successfully. Life really can throw a curveball at you when it wants. If this happens, let us know. The sooner we know that you’re having trouble paying back your quick cash loans unemployed no more hassle loan, the more we can do to get you back on your feet, sooner. We’re here to help you out from the beginning to the end. We’re happy to work with you if you let us know that you’re experiencing some difficulties making your repayments. The sooner you let us know that you need to amend your repayments, the more we can do to help you out. We require at least 24 hours notice to amend your upcoming payments, so it really does pay to give us a quick call. Not only can we adjust your future repayments to a more manageable amount, but it will stop you incurring dishonour fees if you can’t afford one of your direct debits. We’re human too, and we understand that sometimes, these things do happen. So whether you’ve lost your job, you’ve had your hours cut or an unexpected expense has arisen that will affect your ability to successfully make your repayments, give us a call. We’ll help out any way that we can. Our goal is to help you out by providing you with emergency loans 24/7, not put you into financial distress due to an unforeseen circumstance! Are you interested in any of the below terms? We may be able to help you get a loan if you found us by searching the below terms. Keep in mind that “instant” may not always be same day. We may perform a credit check based on the information you provide to us. Why choose emergency quick cash from Jacaranda Finance? Here at Jacaranda Finance, we reckon we’re pretty damn good at what we do. But don’t just take our word for it. Here’s a quick list of some of Jacaranda’s top perks that make us the best. Our application process is super easy – not only are we 100% online, meaning no messy paperwork, but you don’t even have to leave the house to make an application. You can apply from any device (smartphone, tablet, laptop) at any time of the night or day. We put our clients first – our customer service is second to none. Not only are our customer service team incredibly knowledgeable, but they’re amazingly helpful as well! If you have any questions, comments or queries our team can help you out. Having a problem or not too sure how to proceed? No worries! Just give us a quick call and we’ll do our very best to talk you through the process. We’re committed to helping you when and where we can. Transparency is our middle name – well, not really, but you get the point. We pride ourselves on the fact that we’re set apart from other lenders by the fact that we have no hidden costs or fees. We’re always clear about all fees from the very beginning, and our approvals team will even talk you through them on the phone before sending your contract. With Jacaranda Finance, you don’t have to worry about getting hit with additional makeup fees as we don’t have any! In fact, we don’t even charge early payout fees. How good is that! So, if it sounds like one of our speedy loans Australia could be something you’re interested in, scroll to the top of this page and apply now! Let’s work together to get that makeup off the walls or get you where you need to be, fast. Emergency Cash Loans Overall rating: 4.8 out of 5 based on 60 reviews.